I came to know about this cool writer very recently and was waiting to take a look at this editor. Now that I am writing a blog entry from this editor, I feel like its really making my life easy. 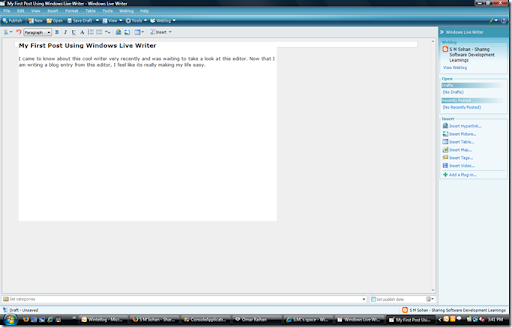 Well, for a head start, I just hit the print screen button followed by a ctrl-V and this is what you see! It’s lot more fun to edit in this editor!